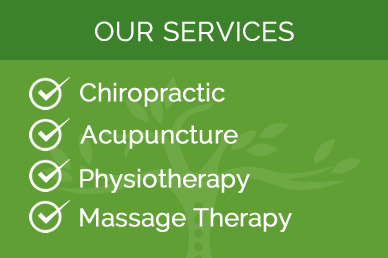 Within over three decades of service and a commitment to provide multiple services under one roof, we make healing comfortable and convenient. Have you forgotten what it feels like to be healthy? At St. Catharines Chiropractic & Health Centre, our goal is to get patients functioning at their optimal level… and then keep them there! Through chiropractic care, we can remove the interference that’s preventing your body from healing on it’s own. With a healthy nervous system you can then heal, function properly and feel healthy again. Chiropractic care has the potential to change and save your life. We believe that people who receive regular chiropractic care enjoy better overall health and a greater life. With that in mind, we welcome you to embrace our quality care and professional atmosphere while you embrace healing and a life of wellness. 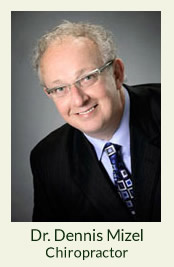 Chiropractor for St. Catharines & Niagara Falls residents! So good to be in your care again. Life looks better, feels better. Bless you and your staff. I am very impressed with my experience so far. I’m grateful I found your clinic and I am very hopeful that my treatment plan will be successful! Very Impressed. I have complete confidence in Dr. Mizel and appreciated how well he explained my treatment plan to me. Most definitely over and above my expectations. I am very happy with the care and assistance I’ve received from Dr. Mizel and his team. All have been very professional, knowledgeable and empathetic. Very high standards of care for patients. Dr.Mizel is amazing. He is thorough and takes the time to explain things. He is excellent at what he does. I’ve felt enormous relief from the first session with him. Dr Mizel was excellent and very friendly. He made me feel very comfortable and is very knowledgeable. I am confident in his abilities. From the moment I walked in the door I felt welcomed. The staff are very friendly and helpful. Dr Mizel was wonderful. The time he took with me was impressive – going over every detail and explaining as he went along. I really felt like I was his first priority and that my issues were important to him. I’ve never had a chiropractic adjustment before and didn’t know what to expect. It’s hard to believe, but very true, that every aspect of my treatment is completely painless but effective! Most thorough exam and procedures ever received.